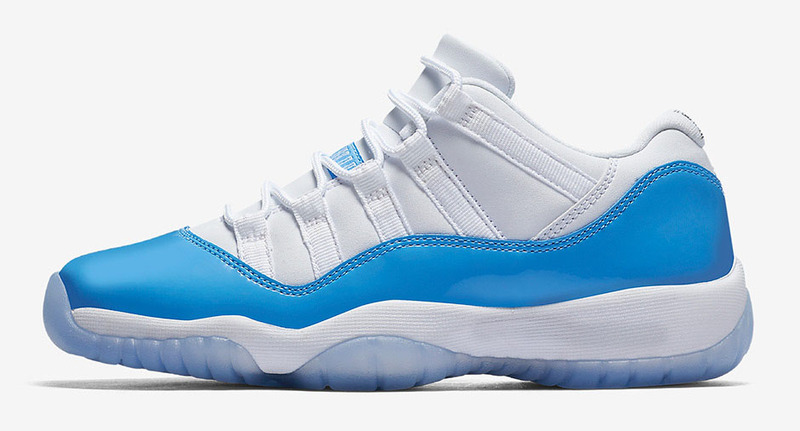 When will Air Jordan 11 Low Unc premiere date. New release date on DateReliz.com: images and videos. That’s a new release planned for summer of 2017. Air Jordan is planning to devote the upcoming model to the University of North Carolina – the alma mater of Michael Jordan. This way AJ pays a tribute to the most significant person that influenced the development and the success of the brand. The new model is called UNC (abbreviated from University of North Carolina). The model will feature the university signature accents of blue hinting on the successful past of Michael Jordan. These accents can be found on a number of retro models produced by AJ. Summer of this year will be marked by a huge number of retro AJ models planned for the release. Some of them have been released together with a set of preview pictures, some of them were left without pre-release pictures for the creative imagination of the potential buyers. 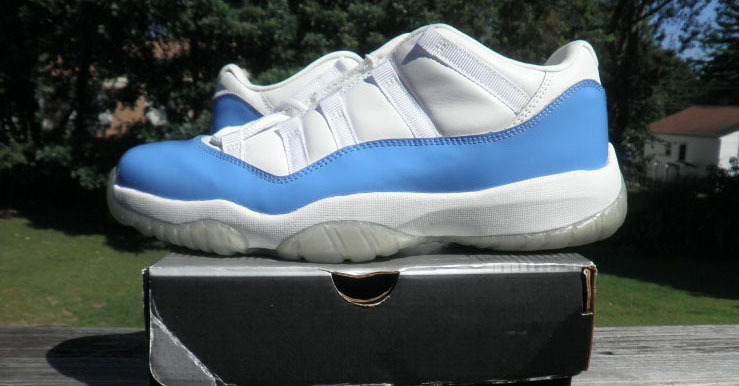 Air Jordan 11 Low UNC will feature Columbia Blue coloring that was first used in a number of models released by AJ in 2001. The signature tint of blue is expected to be on the outsole matching the basic UNC shade. Note that the present Columbia Blue coloring is renamed into University Blue. 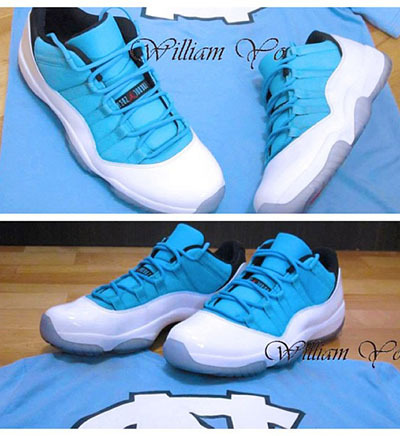 What do you think about the release of Air Jordan 11 Low UNC this spring? Would you like to get a pair? Check out Air Jordan Release Dates webpage to get more information about potential releases, high quality pre-release photographs and pricing. 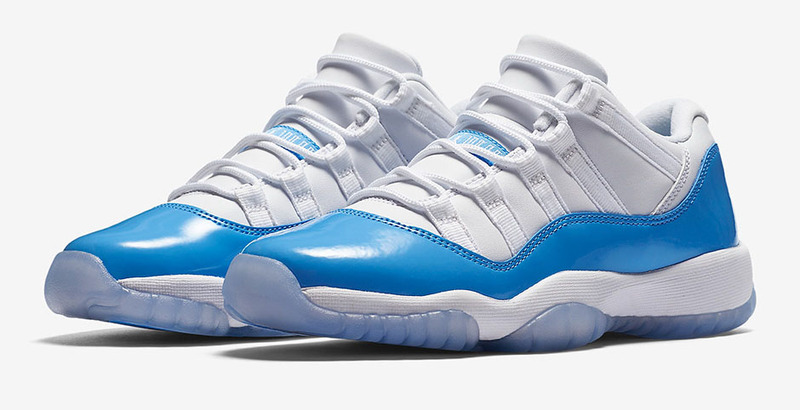 The release date of Air Jordan 11 Low UNC is planned for the summer season of 2017 in university blue and white colorings. The exact release date remains unknown. The estimated price of models for adults is $175. The good news is that the sneakers are planned to be produced not only for adults – kids’ sizing will also be available. If your family is fond of active and sporty way of life, you will certainly pay attention to this item. The Grade School model will cost about $130.